My students were literally begging me to give them more of these books! I am so excited to share them. This set includes CVCe words. CVC, digraphs, blends, and vowel teams are all coming soon! Click here to download this resource! Here is how I use this in my kindergarten classroom. 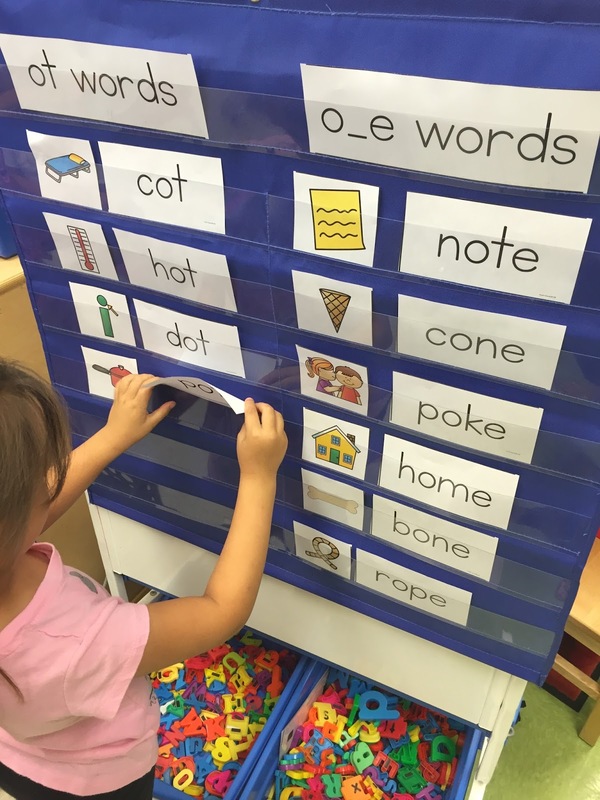 On Monday, students review the sight word flash cards and phonics words. I usually split the differentiation into two groups, sometimes three or more depending on the time of year. They complete page 1 and 2 and read the passage one time, coloring in the first star. On Tuesday, students re-read flash cards and phonics cards. Read the passage for the second time and color in another star. They then complete page 4 by listing all of the phonics “focus” words. Students highlight the phonics words in the passage. On Wednesday, students re-read all flashcards again, re-read the passage for a third time, and complete page 5 by listing the “focus” sight words. Students highlight the sight words in the passage. On Thursday, students re-read the passage and color in the 4th star. They then complete page 6 which focuses on the letters in the phonics words. On Friday, students re-read the passage for a 5th and FINAL time. Then complete 3 comprehension questions on the back. All three of these questions can be found in the text so I have my students go back and underline where they found their answer.